‘The notion that Homeric epic must be rendered in grand, ornate, rhetorically elevated English has been with us since the time of Alexander Pope. It is past time, I believe, to reject this assumption. Homer’s language is markedly rhythmical, but it is not difficult or ostentatious. The Odyssey relies on coordinated, not subordinated syntax (“and then this, and then this, and then this,” rather than “although this, because of that, when this, which was this, on account of that”). I have frequently aimed for a certain level of simplicity, often using fairly ordinary, straightforward, and readable English. In using language that is largely simple, my goal is not to make Homer sound “primitive,” but to mark the fact that stylistic pomposity is entirely un-Homeric. I also hope to invite readers to respond more actively with the text. Impressive displays of rhetoric and linguistic force are a good way to seem important an invite a particular kind of admiration, but they tend to silence dissent and discourage deeper modes of engagement. A consistently elevated style can make it harder for readers to keep track of what is at stake in the story. My translation is, I hope, recognizable as an epic poem, but it is one that avoids trumpeting its own status with bright, noisy linguistic fireworks, in order to invite a more thoughtful consideration of what the narrative means, and they ways it matters. All modern translation of ancient texts exist in a time, a place, and a language that are entirely alien from those of the original. All modern translations are equally modern…I have tired to make my translation sound markedly poetic and sometimes linguistically distinctive, even odd. But I have also aimed for a fresh and contemporary register. The shock of encountering an ancient author speaking in largely recognizable language can make him seem more strange, and newly strange. I would like to invite readers to experience a sense of connection to this anent text, while also recognizing its vast distance from our own place and time. 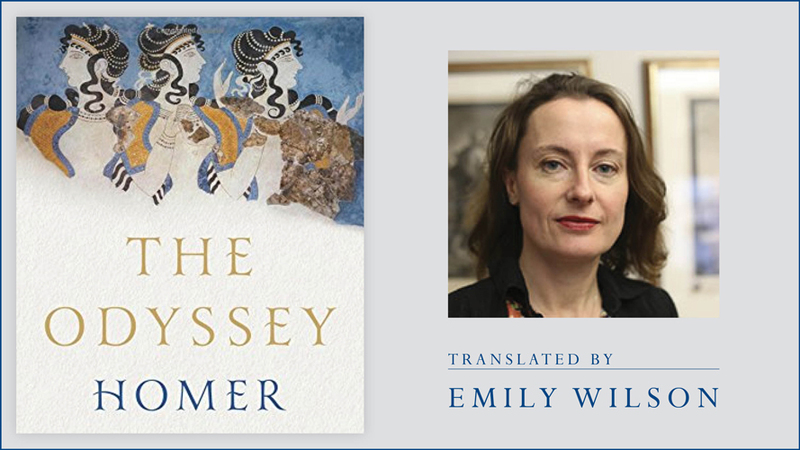 Homer is, and is not, our contemporary.’ -Emily Wilson, “Introduction,” The Odyssey.